Patristics, Patristic Studies or Patrology is the study of the Early Christian writers who are designated Church Fathers. The names derive from the combined form of Latin pater and Greek πατέρας (father). The period is generally considered to run from the end of New Testament times or the end of the Apostolic Age (ca AD 100) to either the date of the Council of Chalcedon (AD 451), or to the Second Council of Nicaea (787). ● Their theological and scriptural insights are very valuable in their own right. ● The Patristic writers lived much closer to the days of the Apostles and had to crystallise the apostolic teachings in response to heresies and errors. ● Their formulation of Trinitarian and Christological formulas and doctrines is foundational for Christianity. ● Their homilies, apologetics and other writings contain innumerable valuable insights. ● Studying the Patristic writers gives us a clearer understanding of the history of the early Church, the apostles and the churches they founded. ● This field of theology provides a sense of continuity with the Early Church and the Communion of Saints. ● Patristics also offers a bridge between the different traditions of doing theology – Anglican, Eastern Orthodox, Roman Catholic and Protestant – all of which claim continuity with the Church Fathers. 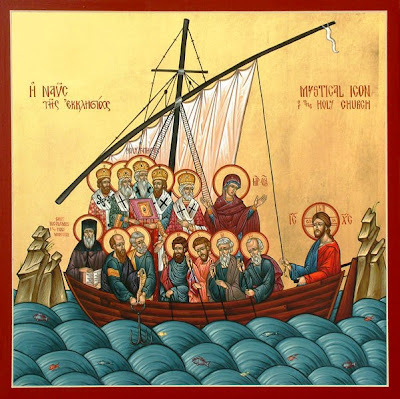 In addition, we may also look at some of the canons of the seven ecumenical councils are also important reading for the Patristic period. Many theologians and historians today would prefer to refer not to Patristics but to Early Christian Studies. But Patristics is more than the study of historical figures and historical writers. It is not merely an exploration in antiquity that has the church as its main field of interest. It is the very study in which we come to understand the continuity of the Apostolic and the post-Apostolic Church in prayer life, in spirituality, in sacramental life, in trying to hold together our unity as the Body of Christ, and in which we come to understand the spirituality that found its expression too in our Creedal and Trinitarian formulas. But please do not be frightened by this topic. On the Liturgy module in Year II, you will become familiar with the Didache and the Shepherd of Hermas, anonymous works dating from the same period as the Apostolic Fathers, and perhaps with the Apostolic Constitutions, important texts in understanding the Liturgical practices and beliefs of the Early Church. And you come across the teachings of the later Church Fathers, in the debates over the Canon of the Bible and the formulation of the Creed of Nicaea and the Creed of Constantinople. So, the field of Patristics is that of the Early Christian writers known as the Church Fathers and their writings. The name comes from the Greek πατέρας (pateras) and the Latin pater (father). The period is generally considered to run from the end of the New Testament period or the end of the Apostolic Age (ca 100 AD), say after the death of Saint John the Evangelist, the last living apostle, to either the Council of Chalcedon in 451, until about 604, when Gregory the Great died, or even to the Second Council of Nicaea in the eighth century. ● Cyril of Alexandria (died 444), the leading opponent of Nestorius. ● Nestorius (died ca 451). Nor were all the writers men. One of the greatest descriptions of pilgrimage we have at that time is by Egregia, who travelled from Gaul (France), spending three years in Egypt, Palestine, Syria, and Asia Minor, describing the churches and the liturgies, and seeking out healing centres such as that of Saint Thecla in Isauria, an inland district in south-central Anatolia. ● Saint Patrick of Ireland. 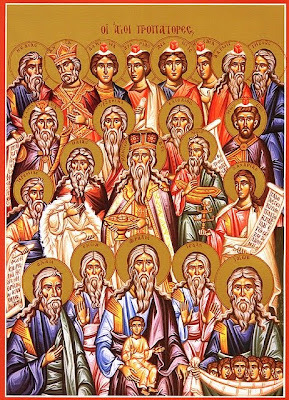 ● the Nicene and Post-Nicene Fathers, who lived and wrote after 325. ● the Latin Fathers, who lived in the West and wrote in Latin. ● Gregory of Nazianzus (329-389), their close friend, who became Patriarch of Constantinople. ● Saint John Cassian, who bridges early Egyptian monasticism and Western and Benedictine monasticism. ● Ephraim the Syrian (306-373), theologian-poet and the most important writer in Syriac among the Fathers; a hymn in our hymnal, No 446, ‘Strengthen for service, Lord the hands’, is from the Liturgy of Malabar and is attributed to Saint Ephraim the Syrian. ● Isaac the Syrian, briefly Bishop of Nineveh, who wrote several treatises against the Nestorians and Monophysites and a lament on the destruction of Antioch by an earthquake. ● Aphraates the Sage, a Persian bishop who wrote in Syriac. ● Parts of Gaul (France), which gives us the writings of Saint Irenaeus of Lyons, Saint Hilary of Poitiers, and Vincent of Lérins. What is included in Patristic studies or theology? The thinking and writings of the Early Fathers are found in their epistles or letters, apologetics or defences of the developing and unfolding doctrine of the Church, in sermons, in accounts of their saintly lives and their martyrdom – for, as Tertullian said in those days, the blood of the martyrs was the seed of the church – in philosophical writings, and in accounts of pilgrimages, particularly to Jerusalem. Their concerns include the Liturgy, personal and corporate prayer, how to live an ascetic life that remains appropriate, penance, the corpus of scripture, schism and heresy, creation and ethics. ● our understandings of Divine grace. There was a time when a course in Patristics would have been one of the core First Year modules for ordinands in Anglican theological colleges. Scholars like Bishop Joseph Lightfoot (1828-1899), Bishop Brooke Westcott (1825-1901) and Professor Fenton Hort (1828-1892) – known as the ‘Cambridge Triumvirate’ – placed Patristics at the heart of Anglican theology from the late 19th century on, for many generations. Anglican theology has traditionally seen its foundations as Scripture, Reason and Tradition, and has sought to be rooted in the writings of the Early Fathers and the Early Church. ● the example of the Primitive Church. John Jewel wrote in his Apology: “What, have Christ and his Apostles, and so many Fathers all erred? What, are Origen, Ambrose, Augustine, Chrysostom, Gelasius and Theodoret Apostates from the Catholick Faith? Was the Consent of so many Bishops and Learned men, nothing but a Conspiracy of Hereticks? or that which was commendable in them, is it now blameable in us?” His implied answer is obvious – he clearly thinks that this would be self-evidently false. By this we mean one canon of the Scriptures. But even the debate about which books are canonical and which books should be regarded as Apocrypha is a debate that has its roots in Patristic debates. We often think of Scripture being closed with the last full stop being placed at the end of the last verse of the last chapter of the Book of Revelation. But Saint Athanasius provides us with the first reference to the present canon of the New Testament in his Festal Letter, written as late as 367. Until then, what was meant by Scripture, the Bible and the Old and New Testament? The writings and ebates in Patristuic writings help us to ask these questions. What about three later ecumenical councils? Anglican writers usually affirm these as orthodox to the degree that they are consistent with, while adding nothing to, the substance of dogma defined by the first four councils. The Elizabethan Act of Supremacy of 1559 makes the first four Ecumenical Councils standards for judging heresy, while the Homilies (authorised at a secondary level) and a consensus of later divines reaffirm the universal acceptance of the first six councils. The rejection of the Seventh Ecumenical Council, Nicaea II (787), was initially based on a Latin translation that actually misrepresented a key teaching of the Council and supported λατρεία (latreía) being given to icons or images, rather than dulia (Greek δουλεία). Did the council mean honour, veneration or worship? The “Five Centuries” form the Patristic era, with the writings and testimonies of the great Fathers of the first five centuries, from the Apostles to Gregory the Great. In the past, some scholars have tried to distinguish between patrologia from patristica. They defined patrologia as the science that provides all that is needed to use the works of the Fathers, dealing with their authority, the criteria for judging their genuineness, the difficulties to be met within them, and the rules for their use. On the other hand, patristica was seen as the theological science that collected and sorted all that concerns faith, morals, or discipline in the writings of the Fathers. These distinctions are not much observed, and they all fall within the ambit of patristic studies as a key part of theology. ● The divisions between East and West, or between Greek and Latin methods of theology, and the extent to which they think in the categories of classical philosophy. He might have added that some of them think in ways that are totally alien to us today, such as Saint Simeon the Stylite (ca 390-459), who achieved fame as an ascetic because he lived on a small platform on the top of a pillar near Aleppo in Syria for 39 years. And we also have to face up to the anti-semitic ideas found in the writings of many the Early Fathers. For example, Augustine argued that the Jews should be left alive and suffering as a perpetual reminder of their murder of Christ. 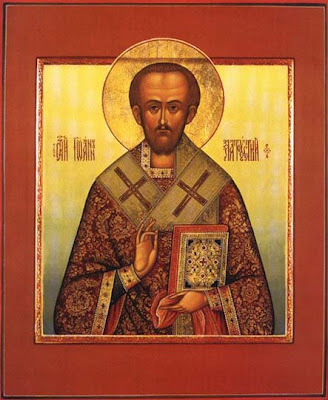 Saint John Chrysostom’s sermons against Jews gave momentum to the idea that Jews are collectively responsible for the death of Christ. So, it may not be all easy-going in this module. We are certainly not going to be unquestioning or going without the opportunity to question or to challenge. We need be afraid to ask questions. Most Patristic texts are available in their original languages in Jacques Paul Migne's two great patrologies, Patrologia Latina and Patrologia Graeca. For Syriac and other Eastern languages the Patrologia Orientalis is less complete and can be largely supplemented by the Corpus Scriptorum Christianorum Orientalium. Noted collections containing re-edited patristic texts (also discoveries and new attributions) are the Corpus Christianorum, Sources Chrétiennes, Corpus Scriptorum Ecclesiasticorum Latinorum, Oxford Early Christian Texts and Fontes Christiani (also Etudes Augustiniennes). A Select Library of the Nicene and Post-Nicene Fathers of the Christian Church (Edinburgh: T&T Clark). The Works of Saint Augustine: A Translation for the Twenty-First Century (New York: New City Press). The Fathers of the Church (Washington, DC: Catholic University of America Press). Ancient Christian Writers (New York: Paulist Press). The Early Church Fathers (London/New York: Routledge). The Popular Patristics Series (Crestwood, NY: St Vladimir’s Seminary Press). Augustinian Studies, published by the Philosophy Documentation Center, in co-operation with the Augustinian Institute at Villanova University. Church History: Studies in Christianity and Culture (published by the American Society of Church History, and edited by Amanda Porterfield and John Corrigan, the Religion Department, Florida State University. The Journal of Ecclesiastical History, published by Cambridge University Press and edited by Diarmaid MacCulloch, Professor of Church History, Oxford, and James Carleton Paget of Peterhouse, University of Cambridge). The Journal of Early Christian Studies, the official publication of the North American Patristics Society and published by the Johns Hopkins University Press. Studia patristica, published by the Oxford International Conference on Patristic Studies and edited by Allen Brent and Markus Vinzent of King’s College London. Vigiliae Christianae, a review of Early Christian Life and Language edited by J den Boeft (Free University of Amsterdam) and J van Oort (Nijmegen/Pretoria). Mike Aquilinia, Companion Guide to Pope Benedict’s The Fathers (Huntington, IN: Our Sunday Visitor, 2008). Saint Augustine, Confessions, trans RS Pine-Coffin (London: Penguin, 1061 &c). Lewis Ayers, Nicaea and its Legacy (Oxford: Oxford University Press, pbk ed, 2006). Angelo Di Berardino (ed), Patrology: The Eastern Fathers from the Council of Chalcedon (451) to John of Damascus (+750) (2nd ed, London: James Clark, 2008). John Chryssavgis, Light through Darkness: the Orthodox Tradition (London: Darton, Longman and Todd, 2004, Traditions of Christian Spirituality Series). Mary Cunningham, Faith in the Byzantine World (Oxford: Lion, 2002). MB Cunningham, E Theokritoff (eds), The Cambridge Companion to Orthodox Christian Theology (Cambridge: Cambridge University Press, 2008). Charles Freeman, A new history of Early Christianity (New Haven and London: Yale University Press, 2011). SA Harvey, DG Hunter (eds), The Oxford Handbook of Early Christian Studies (Oxford: Oxford University Press, 2008/2010). Derek Krueger (ed), Byzantine Christianity (Minneapolis: Fortress Press, 2006, A People’s History of Christianity, vol 3). JB Lightfoot, Apostolic Fathers (London: MacMillan, 1891, 1907). Andrew Louth (ed), Early Christian Writings (London: Penguin, 1987). John A McGuckin, The SCM Press A-Z of Patristic Theology (London: SCM Press, 2005 ed, the SCM Press A-Z of Christian Theology Series). John Anthony McGuckin, Standing in God’s Holy Fire: the Byzantine Tradition (London: Darton, Longman and Todd, 2001, Traditions of Christian Spirituality Series). Cyril Richardson (ed), Early Christian Fathers (London: SCM Press, 1953). JWC Wand, The Greek Doctors (London: Faith Press, 1950). Benedicta Ward, The Desert Fathers: sayings of the Early Christian Monks (London: Penguin, 2003). Patristics 2, 11.30 a.m., 26 January 2015: The Apostolic Fathers.